We use this information to better improve our customer service and assure you the best possible service. My new kitchen faucet is wonderful! When a Kitchen Sink starts leaking or a drain clogs, it always seems to happen at the most inconvenient time—though, given our busy lives, there isn't really any time that is convenient! 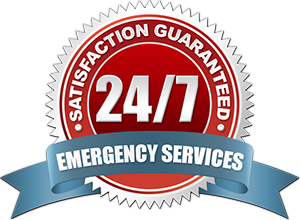 And in those emergency moments, you don't have time to ask, "Where can I find a plumber near me in Oviedo Fl. who is open at these hours, and won't charge me an arm and a leg to come fix my plumbing problem?" Not only do we offer a variety of residential plumbing services 24 hours a day, seven days a week, and 365 days a year, but we do it at an affordable price that won't take advantage of your situation. The great news? If you're having an issue with the drains, machines, sink or any other plumbing-related fixtures in your Oviedo home, Sam T's can help. Please call 407 359 7636 for all your residential plumbing services. There's also a good chance we have a plumber right now locally in Oviedo Fl., so we can get to you pretty quick to handle any plumbing problem you have. Sam T’s Plumbing has been providing Oviedo, Fl. residents with AFFORDABLE home plumbing services since 1982.